July 23, 2015 – One of the sensors that will fly aboard NOAA’s Geostationary Operational Environmental Satellite-S, which will be built by Lockheed Martin, was recently given a clean bill of health from Massachusetts General Hospital in Boston. The sensor, known as EHIS, was successfully tested using the hospital’s proton accelerator and deemed to be in good working order. 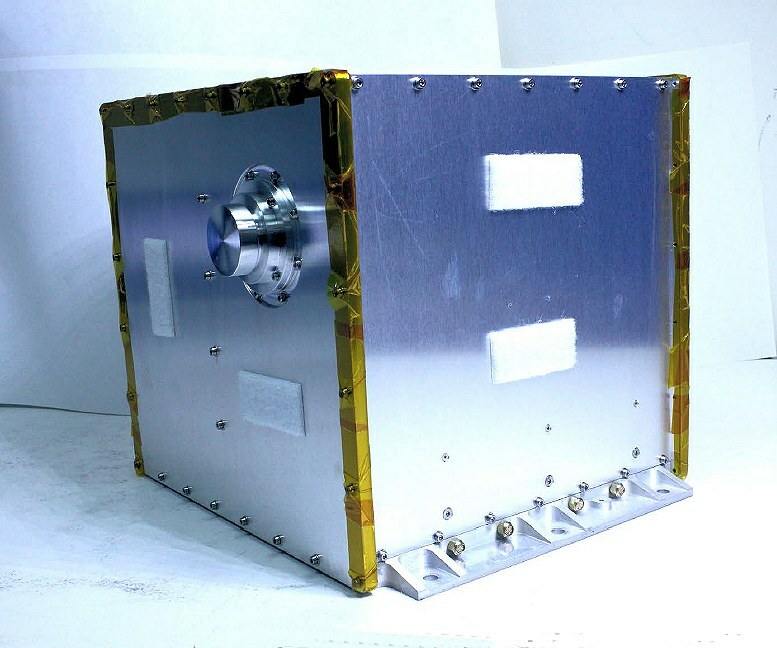 EHIS stands for the Energetic Heavy Ion Sensor and is part of a suite of sensors, known collectively as the Space Environment In-situ Suite (SEISS) that will fly aboard the satellite. EHIS will be responsible for measuring the heavy charged particles trapped in Earth’s magnetosphere and those that come from the sun or from cosmic rays. This information will be used to help scientists protect astronauts and high altitude aircraft from high levels of harmful ionizing radiation. Data from SEISS will help provide observations of solar radiation storm and aid in NOAA’s space weather alerts and warnings. The hospital typically uses the proton accelerator for cancer treatment since energy from the protons of atoms can be used to destroy cancer cells. A beam of proton radiation can be very precisely aimed at a tumor with little harm to the surrounding healthy tissues. But it’s not unusual for the Massachusetts General Hospital to give satellite components a check-up like this. “The GOES-S sensor will be used to detect proton energy, so testing it with a proton accelerator is a good way to replicate what it will encounter in space,” said Dan Flanagan, SEISS Instrument Manager for the NOAA/NASA GOES-R Series Program, at NASA’s Goddard Space Flight Center in Greenbelt, Maryland. Assurance Technology Corporation (ATC) in Carlisle, Massachusetts developed the sensor and has been using Mass General for several years to test instruments on GOES-R and now GOES-S. ATC will continue to work with Mass General in the development of GOES-T and GOES-U instruments. The Geostationary Operational Environmental Satellites – R Series (GOES-R, GOES-S, GOES-T, GOES-U) is the next generation of geostationary Earth-observing systems. The GOES-R Series Program is a collaborative development and acquisition effort between the National Oceanic and Atmospheric Administration (NOAA) and the National Aeronautics and Space Administration (NASA). The advanced spacecraft and instrument technology employed by the GOES-R series will provide significant improvements in the detection and observations of environmental phenomena that directly affect public safety, protection of property and our nation’s economic health and prosperity. The first satellite in the GOES-R series is currently undergoing environmental testing at Lockheed Martin in Littleton, Colorado. The GOES-R satellite is scheduled to be launched in March 2016 aboard a United Launch Alliance Atlas V launch vehicle from Cape Canaveral Air Force Station in Florida.